Rio Vantone is a luxury camping site found within the northern confines of Italy and its location alongside Lago d’Idro makes it an ideal spot for those who wish to enjoy a bit of nature. The perfect choice for those who prefer an active break, just get in touch with LUX-camp for the exciting details on this luxury getaway. 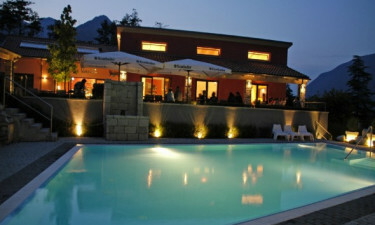 Why Should My Family Choose Rio Vantone for a Luxury Camping Experience? There are an incredible 220 pitches to choose from. A selection of on-site mobile home for the ulitimate luxury camping trip. Access to a private lake. Countless conveniences only moments away. Not only is Rio Vantone situated within verdant natural surroundings, but the on-site amenities offered to its guests will make any stay memorable. Some advantages of this luxury camping site include individual washing cubicles, a changing room for infants, wheelchair-accessible facilities and even a cooking room. Gas bottle exchanges and waste disposal services are also ideal for those staying in a mobile home. Rio Vantone is perfectly equipped to accommodate small children and those who plan to bring their furry friends along for the camping holiday. Dogs are welcome during peak and off-peak times of the year and there is even a dog lawn and facilities for bathing as well. Young children can be entertained by the staff here and there is a dedicated play area that is under constant supervision. These benefits boast an unparalleled sense of camping luxury for children and adults alike! One truly exclusive touch to this destination is the fact that Rio Vantone is located next to a lake known as Lago d’Idro, ensuring visitors can enjoy the peaceful lakeside privacy when compared to other camping sites. Those concerned about their health will be pleased to know that Lake Idro has been found to have the cleanest waters in all of northern Italy. There are several possibilities should a family wish to dine out while remaining close to their mobile home. A restaurant is open from May until the end of September, providing a choice of local and regional cuisine; ideal for those who desire a taste of home while sampling wonderful Italian dishes. 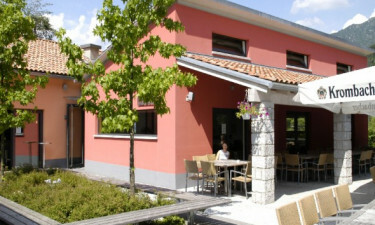 A pizza shop provides a takeaway menu as well as food for younger children and the bar likewise offers televised sports matches as well as a kaleidoscope of drinks to choose from such as cocktails, lagers and locally produced wines. As with many holiday camping sites, there is a store that offers fresh bread and pastries. A supermarket is open between the beginning of April and the end of October, where customers can enjoy a large selection of products ranging from fruits and vegetables to camping supplies, international newspapers and toiletries. A snack bar will provide tasty treats as well as a handful of memorable souvenirs. Anyone hoping to learn more in regards to this very special luxury camping site should endeavour to contact LUX-camp as soon as possible.